“All Patients Safe” is an interactive video training available to all healthcare providers as required by new state law. Suicide-awareness protest at the Washington state capitol helped bring about new state law. David Yamashita said his mother was his hero and his continued source of inspiration. But no one in the family knew how dark her moods were until she took her own life by taking a bottle of prescription medicine. As of July 1, all healthcare providers in Washington state are required to take an approved suicide-prevention course as part of their continuing education requirements. This includes advisers, counselors, chemical dependency professionals, marriage and family therapists, mental health counselors, occupational therapy practitioners, psychologists, social workers, chiropractors, dentists, dental hygienists, naturopaths, licensed practical nurses, registered nurses, advanced registered nurse practitioners, physicians and surgeons (allopathic and osteopathic), physician assistants (allopathic and osteopathic), physical therapists, and physical therapists. The law is known as the Matt Adler Suicide Assessment, Treatment and Management Act of 2012. Washington is the first state to require such training. 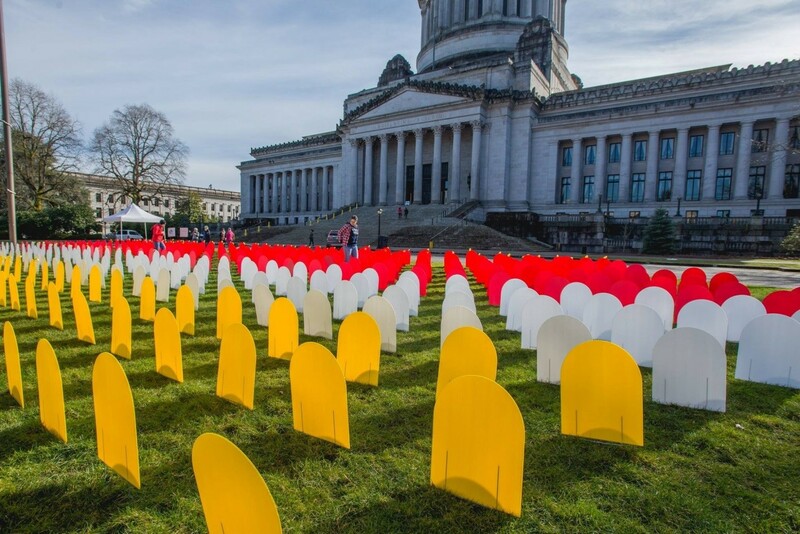 “The law recognizes the key role medical professionals play in addressing the silent epidemic of suicide,” said Jennifer Stuber, policy director of Forefront and an associate professor of social work at the University of Washington. She was the driving force behind the new law. Matt Adler was her late husband. She said most people who die by suicide don’t see a mental health counselor but commonly interact with healthcare providers in the weeks leading up to their suicide. All Patients Safe is unique because it features real stories of individuals affected by suicide and it was designed by medical professionals for medical professionals. It contains practical information about medication and firearms safety that can be incorporated into every patient interaction. “We wanted to make it as impactful as possible,” said Anna Ratzliff, associate professor of psychiatry and behavioral sciences in the UW School of Medicine and one of the physicians who helped create the case-based training module. Along with addressing suicide among adults and veterans as required by state law, the training addresses providers working with youth and woman who are perinatal -- three months before birth and one month after. CoMotion, a collaboration innovation hub at UW, provided an innovation grant to develop the training. Other collaborators include the School of Nursing, the Departments of Family Medicine and Psychiatry and Behavioral Sciences, Seattle Children’s and the VA Puget Sound Healthcare System. In Washington state, more people die by suicide than by traffic fatalities, breast cancer or prostate cancer. The state is ranked No. 22 when it comes to suicide rates. Middle-aged men, Native Americans and Alaska Natives, transsexuals and veterans of the U.S. armed forces are the highest at-risk groups. Suicide is the second leading cause of death among Washington’s young people aged 10 to 24. All Patients Safe is being offered for free to all medical providers affiliated with either UW Physicians or Children’s University Medical Group. Others can pay $98 to access the training online.To sign up, go here. We have people affected by suicide available for press interview. UW Forefront has great resources.